What are Mouth Ulcers & what causes them? Mouth ulcers are a common yet painful infliction. They usually present as round or oval sores that are found inside the mouth, developing on the lips, cheeks or tongue. Their appearance can vary; mouth ulcers can be red, white, yellow or grey in colour and are usually swollen. It is possible for a sufferer to experience multiple mouth ulcers at a time, which unfortunately may spread and grow. Although very uncomfortable, mouth ulcers are in most cases harmless. Without treatment, the majority of mouth ulcers will clear up within a fortnight. Accidently biting the inside of the cheek or lips. Eating hard or sharp-edged food. Having dentures that do not fit properly. Hormonal changes, such as a woman’s monthly period. Certain foods, such as spicy foods, chocolate, cheese, tomatoes, strawberries, almonds, peanuts, wheat flour and coffee. Smoking cessation, which has been known to cause mouth ulcers in its initial stages. Mouth ulcers will present as round or oval sores that commonly appear inside the mouth. They can develop on the lips, inner cheeks or tongue. These swollen sore will be either red, white, yellow or grey in colour. Mouth ulcers are normally 2 - 8mm in diameter and may have a raised or defined border. It is possible to present with multiple mouth ulcers at any given time. These sores can be painful and, depending on location, can make eating, drinking, talking and brushing teeth extremely uncomfortable. Your mouth ulcers are recurrent and frequent. Your mouth ulcers have persisted for longer than three weeks. Your mouth ulcers have become inflamed and painful, which may suggest a bacterial infection that will require treatment with antibiotics. You also have a fever, swollen glands or other signs of illness. Mouth ulcers can also be a symptom of hand, foot and mouth disease, which is a viral infection that mainly affects young children. If you are worried or unsure about your mouth ulcers, it is advised to speak to a pharmacist, GP or dentist for an informed diagnosis. 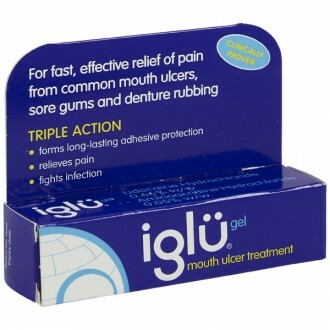 What are the treatments for Mouth Ulcers? 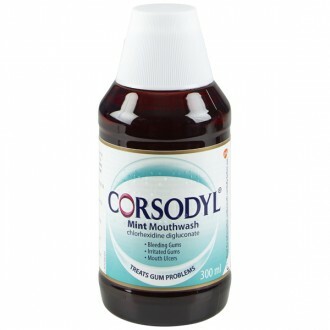 Antimicrobial mouthwashes, such as Corsodyl or Chlorhexidine Gluconate. These may help to speed up healing and also prevent the ulcer from becoming infected. Corticosteroid treatments, such as hydrocortisone buccal tablets, help to reduce the discomfort as well as speeding up the healing process. Corticosteroid treatments are not suitable for children under 12 years. 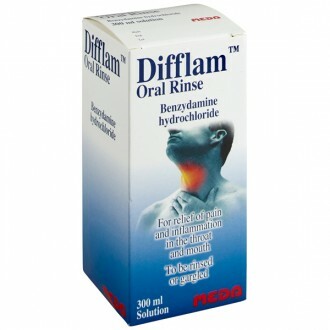 Pain-killing mouthwashes, lozenges, pastilles, gels or sprays are available to help reduce the associated pain and discomfort. Examples of such treatments include; Iglu Gel, Iglu Pastilles, Bonjela Adult Gel, Difflam Oral Rinse, Difflam Spray and Dequadin Lozenges. These treatments normally include a local anaesthetic to numb the area. In some cases, it may be necessary to seek stronger treatment options if your ulcers are severe or numerous. Your GP or dentist can issue stronger steroid treatments to help reduce the pain and swelling as well as speed up healing. Avoiding foods that are known to be triggers, such as chocolate or spicy foods. 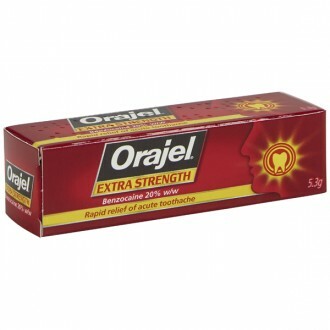 Using a soft-bristled toothbrush that will help to reduce irritation in the mouth. Avoid using toothpaste that contains Sodium Lauryl Sulphate. Reducing your stress and anxiety levels. Try to avoid chewing or biting the inside of your mouth.